Want the secret to a fast grilled meal? Mix up this marinade the night before. 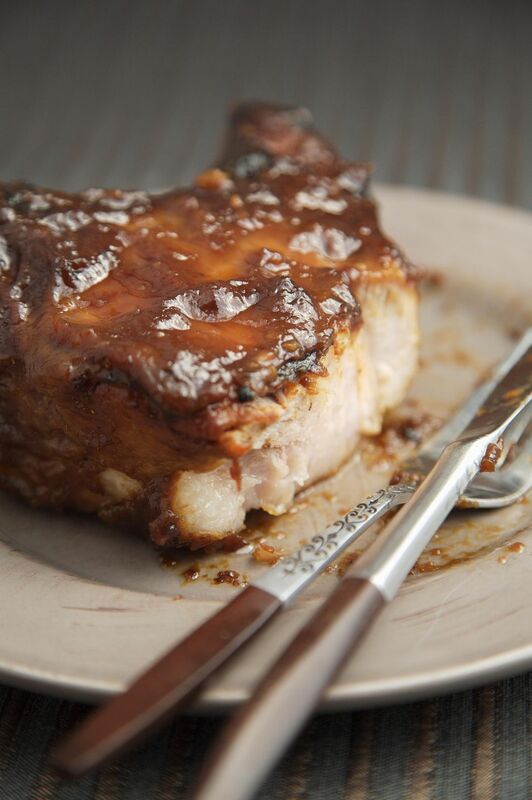 Put these pork chops and marinade in a resealable bag and refrigerate. The next day you can light the grill and have the chops ready in less time than it takes to put together a salad. Mix honey, lemon juice, white wine soy sauce, garlic and black pepper together. Place together with chops in a plastic bag, seal, and refrigerate overnight. Place a heavy duty piece of aluminum foil over the coals or briquettes in the center of your grill. Preheat. Drain chops saving the marinade. Place chops over the foil on the grill and reduce the heat to medium. Grill about 16 to 18 minutes or until internal temperature at thickest part of chops reaches 150 F. Remove from grill and cover with aluminum foil. Bring reserved marinade to a high simmer for 2 minutes, reduce heat to medium-low and simmer for 6 to 7 minutes. Serve sauce over grilled chops.